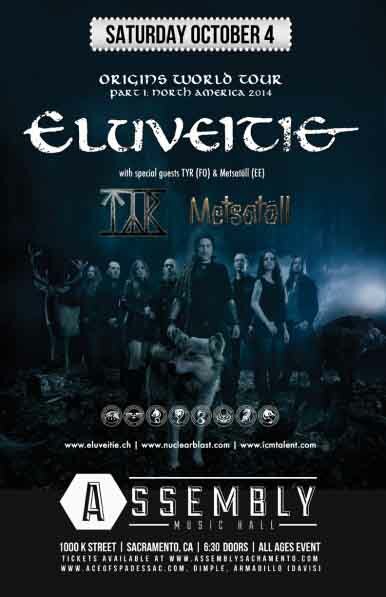 Switzerland’s Eluveitie, TÝR, and Metsatöll. Switzerland’s Eluveitie and the Faroese folk metal band TÝR return to North America in the fall of 2014 with Estonia’s Metsatöll. The tour began on September 19th in Baltimore, MD and ended on October 22 in New York.